It’s hard to believe that another year end is upon us. It’s been a busy year, but we’re not quite finished yet. This weekend sees some of the choir members going to London to sing with other choirs from around the country to help the work of Cancer Research UK. Three years ago, the event raised £160,000 for the charity. Hopefully, we’ll see an increase this time around. As usual, the choir will be giving their very popular concert at Christmas on the 18th of December at the Borough Hall. Tickets are going fast, so you’ll need to get yours soon. Many of our supporters see this as the start of their Christmas festivities, so why not come along and enjoy the evening with everyone else? Tickets are available from all choir members, through this website (use the Contact facility), by calling one of the telephone numbers on our Facebook page or at the door, priced at £10 and £9 for concessions. Gentlemen, if you enjoy the entertainment, why not come along and be part of it? No music reading ability is required, as any of the choir will testify, and you will be taught all you need to know. Most choir members, probably like you, thought that they’d never be able to do it. Nearly everyone can if they just give it a try. 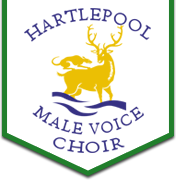 You’ll also make some very good friends and be able to sing in some of the best places in the area and beyond, helping numerous charities raise much needed funding.